SafeCare Colorado is a free, voluntary parent support program for parents and caregivers with children ages five and younger who need extra support to keep their families safe and healthy. Parent support providers help parents build on their existing skills in the areas of parent-child interactions, home safety and child health. 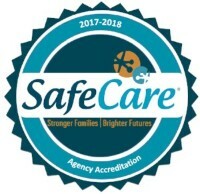 SafeCare typically takes 18-20 weekly sessions to complete (about four to six months) and each session lasts one to 1.5 hours. SafeCare Colorado is delivered in the home or another convenient location by trained parent support providers. SafeCare depends on community partners, healthcare providers and pediatricians to help identify families that need extra support. Referrals also can come from family members, and parents can inquire about it for themselves. For more information or to make a referral, call 970-871-7677.